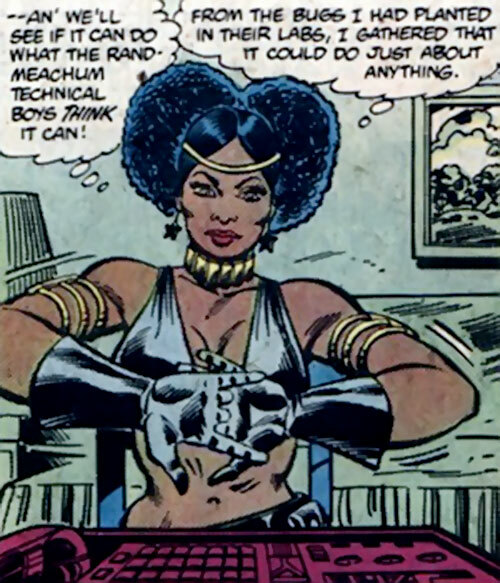 Deadly Nightshade (Tilda Johnson) is a comic book genius engineer/scientist/hacker type. Her criminal schemes can involve artificial werewolves, robots, super-chemicals, computer hacking, gangland wars, social engineering, genetic engineering… pretty much anything. This makes her a remarkably versatile villain (and, occasionally, ally). She has a… distinctive style and visuals. Those stem from her roots in the early 1970s. 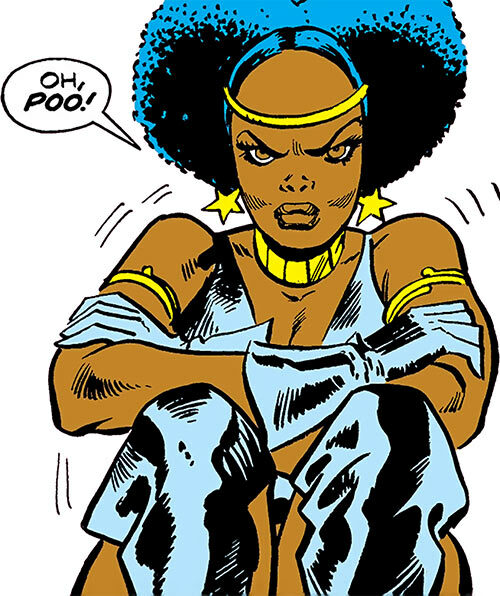 In her own way she mixes horrorsploitation, blaxploitation and kungfusploitation themes that were going strong in Marvel Comics at that point (Werewolf by Night, Luke Cage Hero for Hire, Iron Fist…) with nascent Bronze Age themes (such as underage criminals). Deadly Nightshade part #1 – the 1970s and 1980s. Deadly Nightshade part #2 – the 1990s and 2000s. Other Aliases: Queen of the werewolves, Deadly Nightshade, D. Nightshade, Doctor N..
Group Affiliation: Former servant of the Yellow Claw. Height: 5’4” Weight: 115 lbs. Deadly Nightshade is a super-genius. She can master any field she’s interested in impossibly quickly. Our game stats section detail her innumerable creations. From perfumes that turn men into her thralls to lycanthropy serums, kung-fu robots and super-androids. Even though Johnson is not a very social person, she’s a user. And there several tricks she pulls off very well. Her speciality is pretending to be an helpless, childlike babe in the woods, occasionally faking crying fits or fainting. Using her poor little girl act (and her beauty and obvious youth) she’s able to play most heterosexual men like an accordion during a Belgian folk festival. 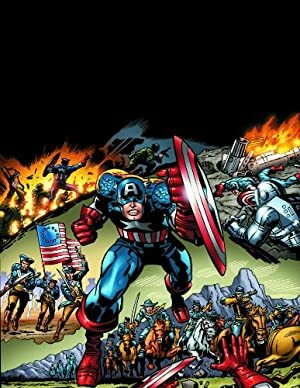 Well, except for Captain America. Nightshade also displayed an unbelievable ability to escape from prison. On the other hand, early in her career she wasn’t particularly tough. Any determined person could punch out the skinny teenager. Tilda Johnson was born in 1957 in Harlem. Even as a little girl she was a technological super-genius. Her social skills and emotional maturity were normal for her age, though. Johnson soon became bitter about the racist and classist prejudice she and her neighbours were facing. Her father left when Johnson was very young. She described her mother as “dead weight” – possibly meaning a substance abuse problem or depression. Lil‘ Tilda considered that there were but two ways out of Harlem – education and crime. She decided to become a mistress of both. She had also reached the conclusion that she should hide her abilities to avoid censure. From one of her remarks it would seem that she was producing groundbreaking work in chemistry by age 10. At 14 she reportedly knew as much as a trio of PhDs. By age 16 she was working on artificial lycanthropy as part of a joint venture with the Yellow Claw. Proud of having hit the big time, Johnson started calling herself the Deadly Nightshade. She made up a distinctive look including a black leather bikini and a Minnie Mouse afro. It was the early 1970s and she was but 16, for Tesla’s sake ! With the Yellow Claw’s support, Johnson took over the Grimrock prison in the US. There she ran large-scale tests of a serum on which she had been working since she was 12 or so. The serum turned men into obedient werewolves. Johnson soon was the only unaltered human left in the isolated castle-like prison. She had dozens of lycanthropes at her beck and call. She proclaimed herself Queen of the Werewolves and was having a grand time improving her formula. Prisoners who refused to take the serum were killed to test the power of the werewolves. However, the Yellow Claw soon asked for more demanding testing. 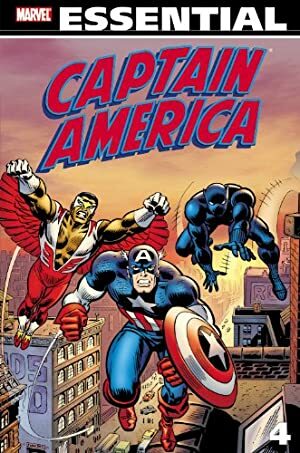 Nightshade had news about Grimrock leaked to Captain America (Steve Rogers) and the Falcon (Sam Wilson). She had the Falcon ambushed and neutralised while Cap was kept busy elsewhere. From there she turned Wilson into her latest and most powerful werewolf. She then sicced her “wolf-falcon” on Cap while he was wondering why the lugubrious prison was guards-free and populated with werewolves and a half-naked kid. However, the Yellow Claw decided that Nightshade’s werewolves weren’t powerful enough. He announced that he was withdrawing his support and leaving her to hang dry. Minutes later, Nick Fury and S.H.I.E.L.D. shock troops landed nearby to storm the prison. The immature Johnson reacted with tears and anger. She melodramatically whined that since everybody in the whole world was rejecting her and her “pets”, they’d rather die. She and her enthralled lycanthropes ran to the outer walls of Grimrock. They threw themselves off a cliff into the pounding sea. The only werewolf who survived was the Falcon, as Steve prevented Sam from reaching the parapet until the sun rose. Sunlight broke the effects of Nightshade’s serum over the Falcon. Nightshade also survived, hitting water rather than the rocks. While her tantrum may have been sincere, she wasn’t suicidal. Rather, she had a prepared, remote-controlled escape route underwater. Since nobody was giving her the time of the day, Nightshade decided to take over the United States and be declared Queen of America. S.H.I.E.L.D. would be her tool, thanks to an early invention of hers – a perfume that made men her thralls. Werewolves created using the first-generation serum. Within months, she took over a S.H.I.E.L.D. base headed by Co-Director Cochren. The base wasn’t picked at random. It was where the Falcon was hospitalized after an encounter with the Red Skull (Johann Shmidt). Captain America often visited him. Johnson wanted to have the two dreamy hunks for herself. She naÃ¯vely thought that they would agree to become her lovers because she was a smart and cute girl ruling the country. Furthermore, it was an underground base. That was important since her mind control perfume also broke down under sunlight. Deadly Nightshade’s plan largely worked. Though Cap and the Falcon resisted her mind control, she was about to overwhelm them with all the S.H.I.E.L.D. manpower and technology at her disposal. However, another visitor was senior S.H.I.E.L.D. officer Valentina Allegra de la Fontaine. Unaffected by the perfume, she parsed Johnson’s file. From there, she told Cap and the Falcon to rush to the base’s little solarium. The S.H.I.E.L.D. men who chased the two heroes therein were freed from Nightshade’s control. Johnson was then arrested and imprisoned. Yet Deadly Nightshade soon escaped. She apparently spent the next two years mastering robotics and artificial intelligence, and watching the original run of The Muppet Show . Nightshade then attempted to take over New York City’s underworld. Since the New York mobs were unlikely to work for a teenage girl and she liked robots, Johnson just built her own mob. It came complete with a huge, dapper mob boss she named R.U. Rossum. Her robots were so lifelike that they fooled everyone – but they all possessed superhuman strength and durability. R.U. Rossum‘ mob took Harlem by storm. Over the first year they began to displace even such well-established crimelords as “Boss” Morgan. As a result, human criminals began to join the rising mob secretly commanded by Nightshade. Johnson pretended to be Rossum’s underage moll. The NYPD had several violent clashes with the “special boys” of the Rossum mob. Though they generally lost these battles, the cops took down two enforcers, discovering that they were robots. But built-in acid reservoirs melted the key systems of the downed androids, preventing their study. Furthermore, no informant would talk about the Rossum mob. The NYPD had to hire Nightwing Restorations and the Heroes for Hire to make headways. 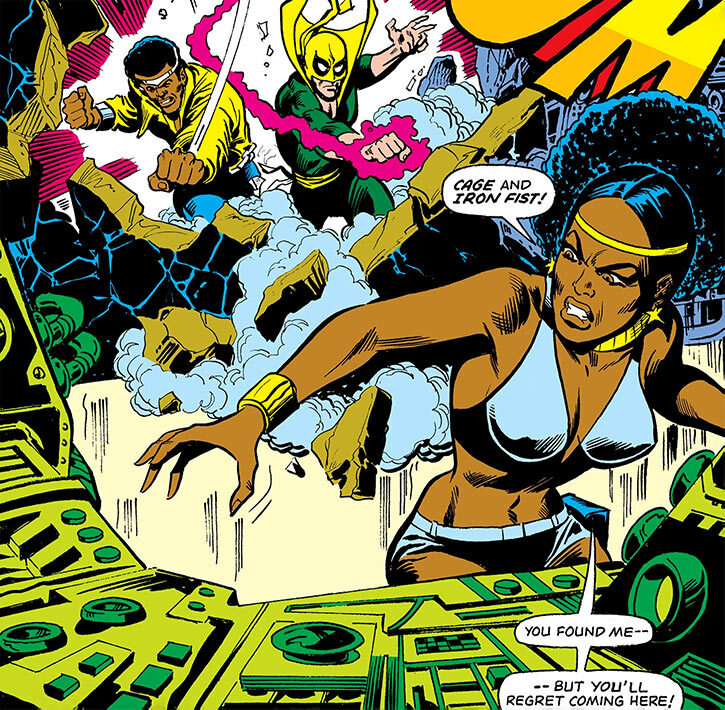 The foursome uncovered the Rossum mob, though Misty Knight and Luke Cage were captured. Nightshade had R.U. Rossum send the pair to their death. But they survived and came back leading a NYPD raid. Yet Nightshade had fully evacuated her Manhattan headquarters. She swiftly moved to her backup HQ in the South Bronx. 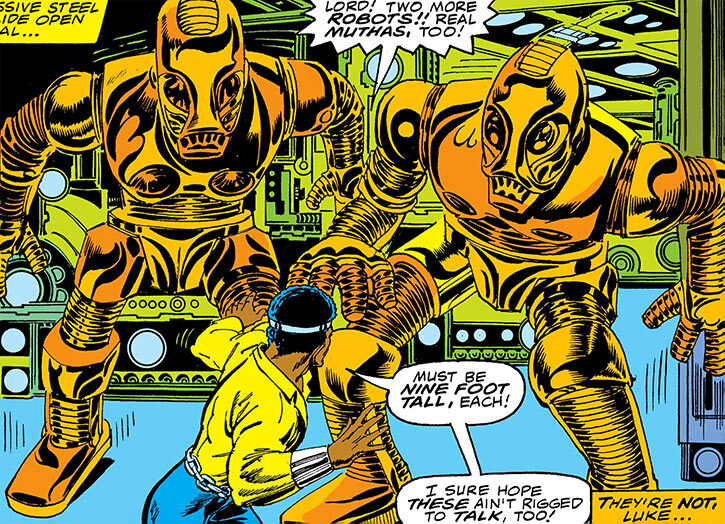 The Heroes for Hire soon invaded her base, using a jammer to greatly weaken her robot henchmen. They took out her artificial manpower and R.U. Rossum. Nightshade feigned a crying fit that threw Luke Cage and Iron Fist off, giving her the time to draw her laser and blind her opponents. 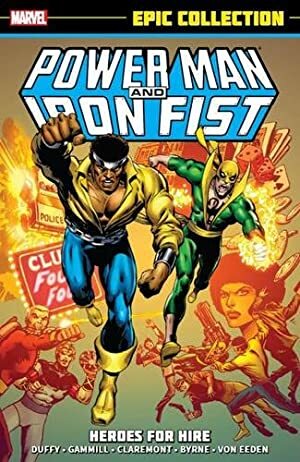 But Iron Fist was trained to fight blind, and intercepted her. He probably shouldn’t have bothered, though. Johnson apparently escaped from prison within weeks. 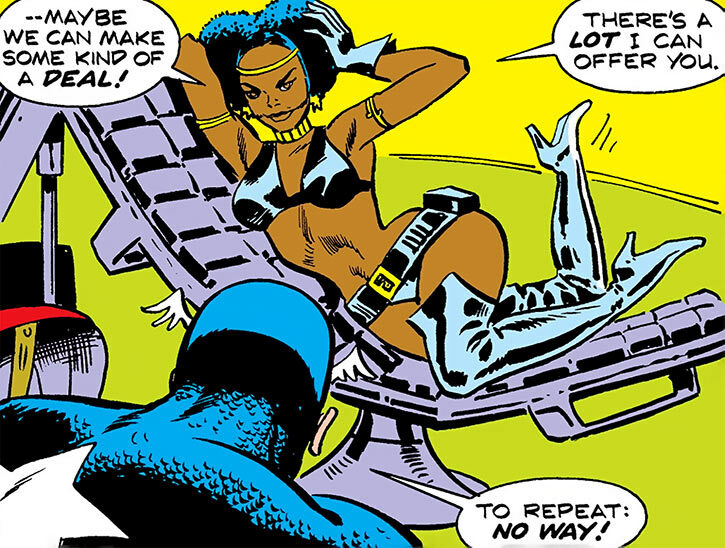 Johnson maintained surveillance on Misty Knight’s apartment. She thus discovered that Knight and her associate Colleen Wing counted the X-Men among their friends. When Knight and Wing were having a girls’s night out with Phoenix (Jean Grey) and Storm (Ororo Munroe), Johnson drugged them. She then fitted them with power-neutralizing collars. Johnson forced Storm to steal a S.H.I.E.L.D. system downloading knowledge from human beings into LMDs . She then had Grey telepathically parse Wing and Knight’s martial arts training and combat experience. Nightshade next downloaded the fighting skills of the Daughters of the Dragon into her newest generation of cybernauts. But Nightshade then realised that Storm had discreetly signalled S.H.I.E.L.D., and had to run. She unleashed her cybernauts against her prisoners before she left. Howbeit these robots seemed closer to a proof of concept model. As such, they could be smashed by sufficiently skilled human fighters. Storm caught up with Johnson, who attempted to fight her off. 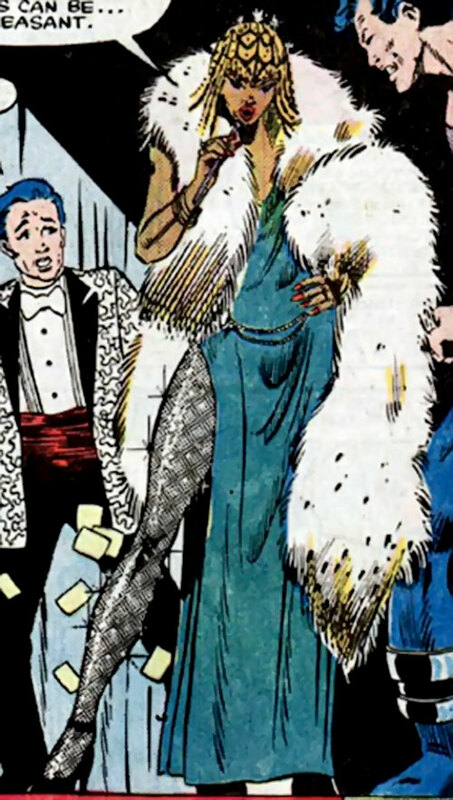 Nightshade thus joined the list of people who underestimated Ororo Munroe’s martial skills. Nightshade quickly escaped from prison, of course. While lying low, she continued to teach herself new tech skills. She then heard about an experimental circuit that could hack any computer. The device was to be shipped via train to Chicago for analysis. Howbeit, a nervous insurance company had it guarded by the Heroes for Hire. Nightshade built a mind-control ray, a flying car and a gamma ray detector. Since her robots and her werewolves and her chemical thralls had not been powerful enough, she had decided to turn the incredible Hulk into her servant. But her original plan didn’t work. The mind control ray wasn’t powerful enough to affect the Hulk. Thus, Johnson left the Hulk as soon as she could. In a motel, she used the 1980 equivalent of a laptop (a suitcase filled with electronics and an acoustic modem) to test the circuit. It could indeed hack any contemporary system, including banks. However the Heroes for Hire, the Hulk and Machine Man caught up with her. She faked fainting then escaped a few minutes later, but the Hulk caught her car. Johnson was arrested. Nightshade may have attempted a more conventional career as a university researcher at that point. That did not take and she returned to a life of crime. She missed the independence and excitement. Tilda Johnson popped back up a few years later, in 1984. She wanted to rob the main debutante event of the year among the New York City high society. She associated with Man-Mountain Marko and Eddie Lavell (who had recently become the new Eel). Johnson then used guile and her mind control dust to have Stiletto and Discus join the heist despite their wish to go straight. One gets the impression that Nightshade chiefly wanted social revenge for her ghetto childhood. The loot was to pay her henchmen. As it turns out, three super-heroes were present. But the Wasp (Jent van Dyne) was stark naked under her tight designer dress, and refused to shrink out of it. 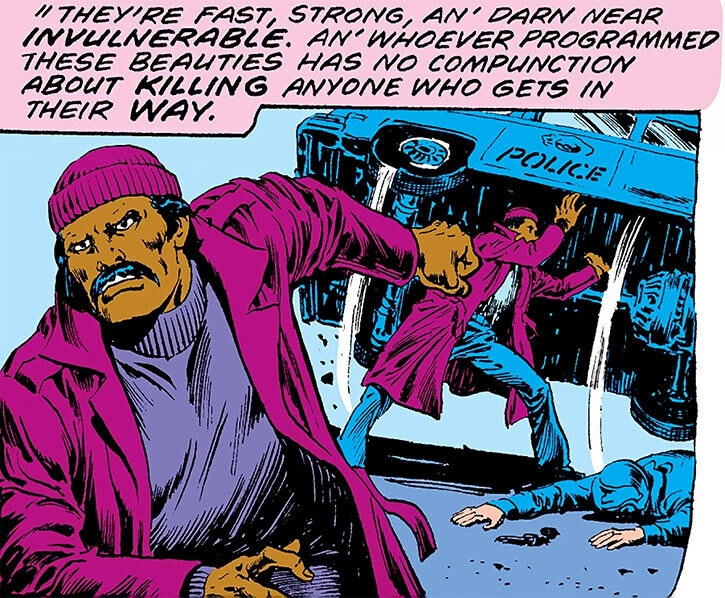 That left Iron Fist and Luke Cage to engage Nightshade’s heavies. The Heroes for Hire prevailed, but wouldn’t have captured Nightshade without the help of the society debutante they were escorting. She caught Johnson flat-footed and punched her out in front of everyone. Perhaps as a consequence of this humiliation, Nightshade wasn’t seen again for years. At the close of the 1980s, she was approached by the scientist Superia (Deidre Wentworth). Superia recruited Nightshade to join her Femizons project as her main lieutenant and coordinator. Nightshade eagerly served Superia, and seemed won over by her misandric ideology. Johnson (who was generally addressed as “Doctor N.”) thrived in her new role. She assembled a core crew of supervillainesses, and commanded an extensive security and scientific crew. Her bikini “costume” was a little girl’s idea of a grown woman, I suspect. Though she wears the mandatory pouches-laden belt, Nightshade tends to store small items (such as her lipstick or photographs) in her bra. Presumably because it’s cuter. Nightshade has been called the “Denise Huxtable of crime”, after a character in the popular American TV series The Cosby Show. This may mean that she’s somewhat reminiscent of a young Lisa Bonet, thought there are obvious physical differences. Though Nightshade is very young, she has done some growin’ up over her long career. When she first appeared, Nightshade was an unhinged teenager. She had no problem turning men into werewolves. She then fed them some random schmuck clad in a Cap costume as part of their training, watching happily as they tore him into pieces. Yet as soon as she realized her monsters were no match for Captain America, she burst into tears. She acted like a petulant child who then decided to break all of her toys in a tantrum, killing dozens. Nightshade continued to act in ways both sociopathic and childish for the first half of her career. She came across as a strange meld between a capricious teenage girl and a treacherous, crafty scientific genius and criminal. She deliberately overplayed her youth and seeming innocence whenever convenient, even faking fits of crying or fainting. Given these childish tactics, it was unclear how much of her immaturity was an act, and how much was genuine. Johnson was out of touch with how most people think and feel. She actually believed that Captain would rule America at her side (after S.H.I.E.L.D. conquered it) just because she was an attractive and smart girl. And, when she was defeated she just went “oh, poo” and started sulking. One gets the impression that Nightshade, for all her genius, had no experience with socialisation. Presumably, her towering intellect left her without any peer to relate to. The absence of people to meaningfully interact with while growing up left her in Lord of the Flies mode – self-centred to the point of solipsism, and temperamental. She was physically 16 and intellectually an adult. But emotionally and socially she seemed closer to being 13 from lack of social experience. The costume was a pretty good clue. She wanted to have power over men, but her choice of wardrobe to achieve that was a tad on the, hmmm, the nose. During this era, one occasionally gets the impression that her plots are something of a game for her. She seems certain that nothing bad is going to happen to her. She doesn’t really mind getting caught, since she’ll escape shortly. She’s also poor at hiding her typical teenage girl interest in strong, handsome men such as Captain America or the Falcon. Superspeed is limited to Tasks, and only those Tasks having to do with her Gadgetry, Scientist, Medicine and Thief (Security systems) Skills. Attractive, Familiarity (High diving, Lycanthropes), Expertise (Organised crime), Genius, Schtick (Make-do Equipment (Gadgetry)). Nightshade’s Attractive also works on werewolves of all kinds. This is a mixture of permanent artificial pheromones, and learned voice modulation. A sort of SPI (see Personality section). Her first handgun looked like a gold-plated Colt Cobra [BODY 03, Projectile weapons: 03, Ammo: 06, R#02]. Her second handgun (which she packed in the late 1970s) was an energy weapon with the following stats : [BODY 03, Flash (Area of effect 0 APs): 09, Ammo: 06, R#02 — and quite probably Laser beam: 05. Bonus: Flash is its own AV]. NIGHTSHADE PERFUME MK1 [BODY 00, Hypnotism (area of effect 0 APs, No Range): 05, Note: Hypnotism only works on mammalian males, and is instantly broken by exposure to sunlight]. NIGHTSHADE PERFUME MK2 is the same, without the vulnerability to sunlight. NIGHTSHADE DUST MK1 [BODY 01, Hypnotism: 06, Mental illusion: 11, Note: both Powers can be Combined, both Powers only work on mammalian males, and are instantly broken by exposure to sunlight]. NIGHTSHADE DUST MK2 is the same, without the vulnerability to sunlight. She also called it her Mesmer-Dust. Improved Meto-Probe [BODY 03, Control: 06, Range: 01, Limitation: Control has No Range — use the listed Range instead. This bulky device was used to try and control the Hulk. But that did not work, because Hulk is strongest one there is.]. Nightshade apparently designs and builds her own surveillance bugs. These are very advanced and can only be defeated by the very best countermeasures. Mutant Inhibitor Collars [BODY 03, Detect (Superpower use): 06, Eye of the cat: 12, Lightning (No Range): 12, Radio communication: 06, Security system: 07, , Limitation: Detect has No Range]. These collars are programmed to electrocute the wearer when tampered with, or if the person attempts to use most forms of super-powers (it detects variation in bioelectrical charge). Nightshade can turn that on and off at will, and can use the collar as a communicator and real-time video feed. PINK DUST [BODY 01, Chemical attack: 09, Grenade drawback, Bonus: Chemical attack acts as its own AV (+1 or +0 depending on house rules)]. This dust could choke and incapacitate even Luke Cage when thrown in his face. Beyond the weapons and small inventions in the game stats above, Nightshade came up with the following assets during her career. Queen of the Werewolves ! 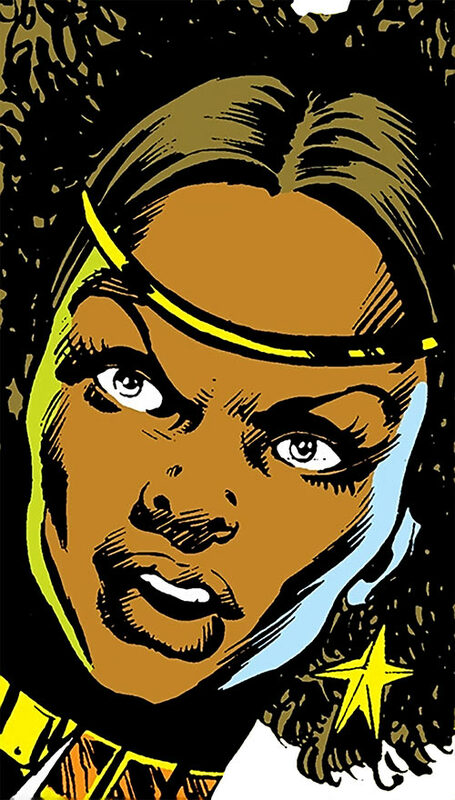 Nightshade conceived several versions of her unique serum, which allowed her to trigger artificial lycanthropy in normal men. There were at least two main versions of the serum. Here is the first one. These werewolves could speak (albeit with terrible grammar) and understand speech. Johnson renamed her favourite werewolf “Sparky”. Strange Appearance, Alter-ego (return to their normal Attributes, Skills, Powers, Motivation, appearance etc. when exposed to sunlight). When the Falcon was turned into a werewolf, he was much bigger and stronger than the other werewolves. He kept his full DEX, received four more APs of STR (for a total of 08) and three more APs of BODY (for a total of 08). This was presumably a combination of the Falcon being much stronger and healthier than the other subjects, and the version of the serum tried on him being a brand-new development. Whether this version of the serum could work on less athletic persons is unknown. The cybernauts (not the be confused with the similarly-named opponents of Mrs. Peel and Mr. Steed) were sophisticated robots convincingly disguised as human beings. However, they were eerily similar to each other since Nightshade only built one mould for the faces. Acid is only used to self-destruct their onboard computer after they have been reduced to a BODY of 0. Misc. : Special jammers “broadcasting a frequency just out of phase with the robots” give Cybernauts of either generation a -2CS penalty to their OV and a -4CS penalty to their RV. Building such a jammer is a Difficult Gadgetry roll and need to be based on a Cybernaut onboard computer that has not been entirely destroyed by the Acid. Second-generation cybernauts seemed to have two more APs of STR and one more AP of BODY than the previous generation. They were only ever seen under the effect of a jammer, though, making it difficult to assess their capabilities. Acid is only used to self-destruct the onboard computer after R.U. has been reduced to a BODY of 0. R.U. 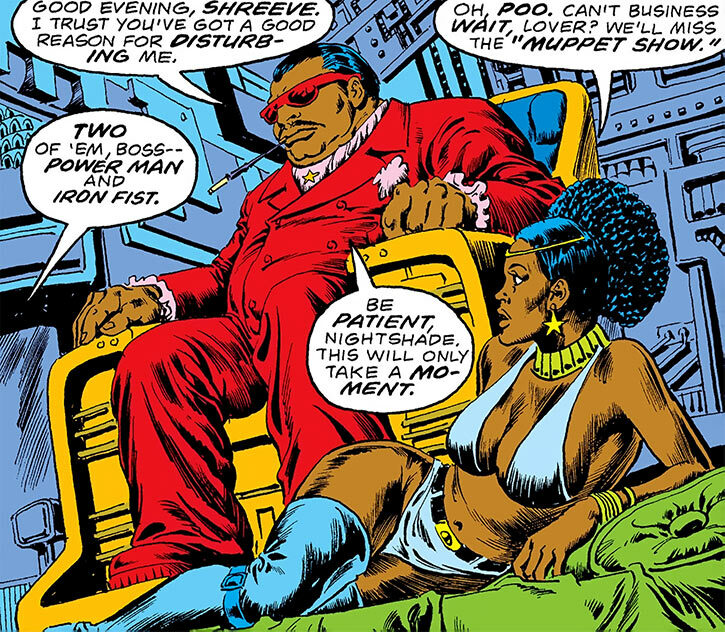 Rossum (Nightshade called it “Chunky”) was supposedly a businessman who moonlighted as the head of the new mob taking Harlem by storm. He was actually a marvel of robotics, and it was very difficult to notice that he’s not a human being. If Rossum’s A.I. didn’t know how to react, Nightshade could whisper him instructions (directly or via radio), which he could efficiently interpret and convey in his own style. Rossum was wrecked by Iron Fist. 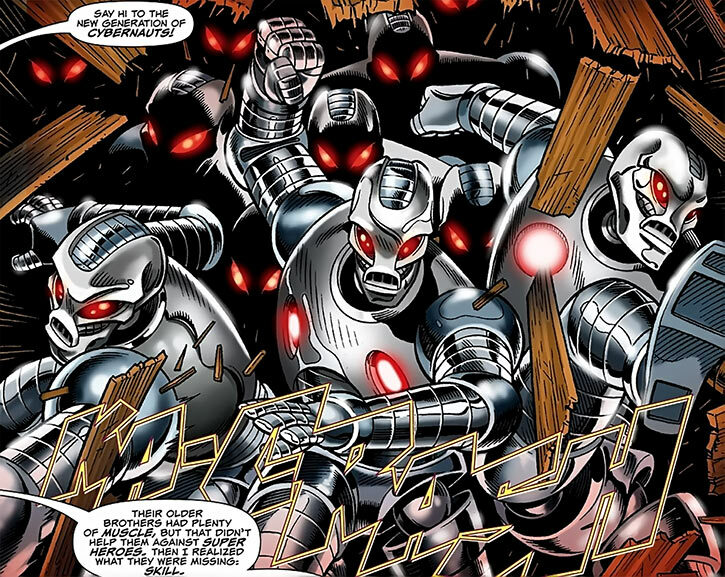 Nightshade built a half-dozen third-generation Cybernaut robots, and then had the fighting skills of the Daughters of the Dragon downloaded into them. They were not actually as good as the Daughters, but whoah – they certainly knew kung fu ! Though they looked like smaller versions of the heavy-duty security robots, these cybernauts didn’t have any armour plating. Thus, humanexpert fighters could exert enough strength to damage them. One gets the impression that they were proof of concept models to see how they moved and to get a sense of how a finalised models should be built. The Cybernauts were either wrecked by the Daughters of the Dragon and Jean Grey, or sunk after Storm blew them into the river. These Cybernauts were not noticeably faster than baseline cybernauts — the alacrity of previous versions of cybernauts surprised even Cage or Iron Fist. But finalised versions would likely have had higher DEX and/or Martial Artist. Writeup revised and updated on the 5th of June, 2011.